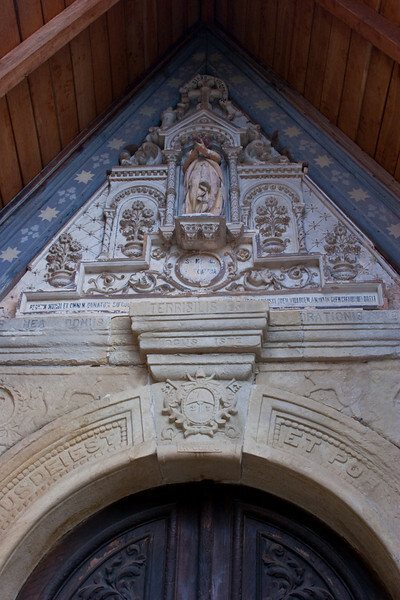 Doorway into Saint Mary Magdalene in Rennes-le-Château. This church is where purportedly a major secret was discovered. Read HOLY BLOOD HOLY GRAIL.